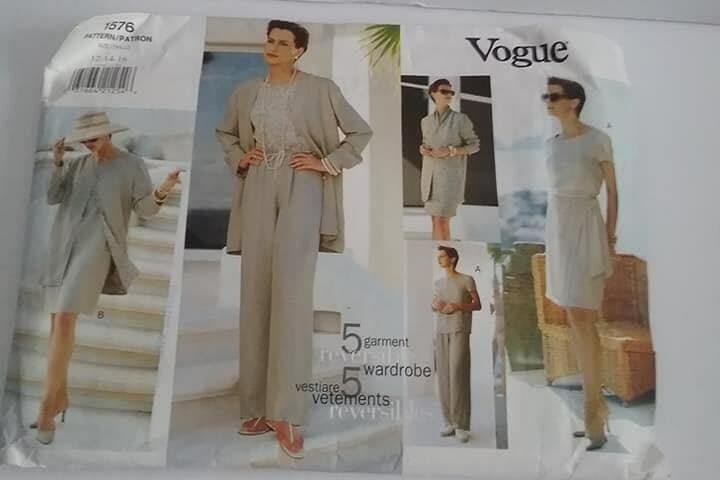 Vogue pattern #1576. 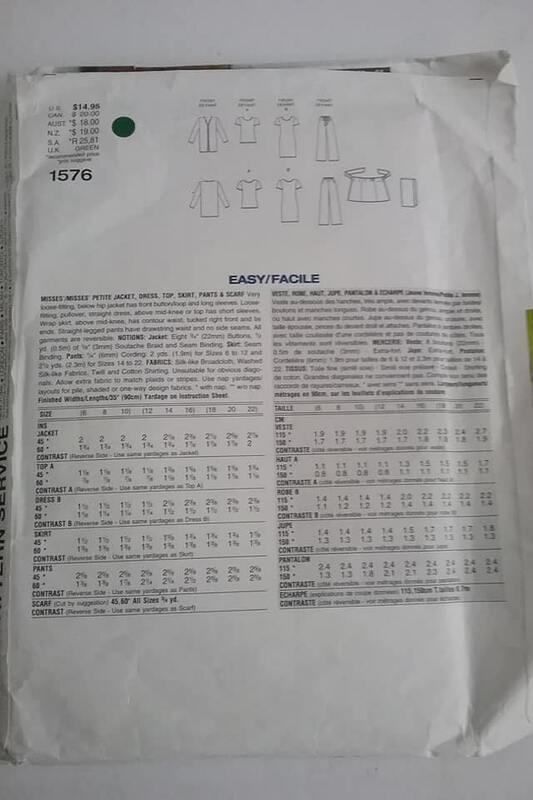 Uncut, it makes a jacket, dress, top, skirt, pants and scarf. Sizes are 12,14, and 16. Reversible outfit.